Thought I'd start a thread on trees you've cut and what saw you used to do the job. This was a 3 foot 150+ yr old maple I cut at my uncles house, it was too close to his fence/house and was pretty easy to drop however. I pre cut a smaller sycamore so it when bigger maple fell it would break out of the way. Used a 576xp and 372 to cut it down. CrystalRiver1, David Young, davidwyby and 26 others like this. mostly poplar this year about a meter wide. And the collateral damage black alder. With the blue Dolkita 7910. Ron660, hseII, concretegrazer and 16 others like this. merc_man, MustangMike, fearofpavement and 7 others like this. I have great experience with the fiskar x27 and oak. MustangMike, Stihlsmoking, Cigmaker and 1 other person like this. Ron660, hseII, Hinerman and 17 others like this. ajschainsaws and mdavlee like this. Looks like nice to split. Sycamore is pretty stringy and not really easy to split. The maple is far harder and better firewood. I would have left the sycamore alone but it was in the way and hollow as well. MustangMike, Rob Stafari, Locust Cutter and 8 others like this. Interesting. My dictionary (translate.google) says it's the same tree. Wagnerwerks, huskyboy, Stihlsmoking and 1 other person like this. Big ash about 32" used a 660 w/36" & 20" and my 026 16". sawfun, smokey7, Ron660 and 16 others like this. smokey7, MustangMike, Cigmaker and 6 others like this. MustangMike, Cigmaker and mdavlee like this. ~WBF, ChipsFlyin, Hinerman and 21 others like this. Stihl Potlicker, cgraham1, Hinerman and 20 others like this. smokey7, hseII, Roadfxr and 7 others like this. concretegrazer, mdavlee and ajschainsaws like this. 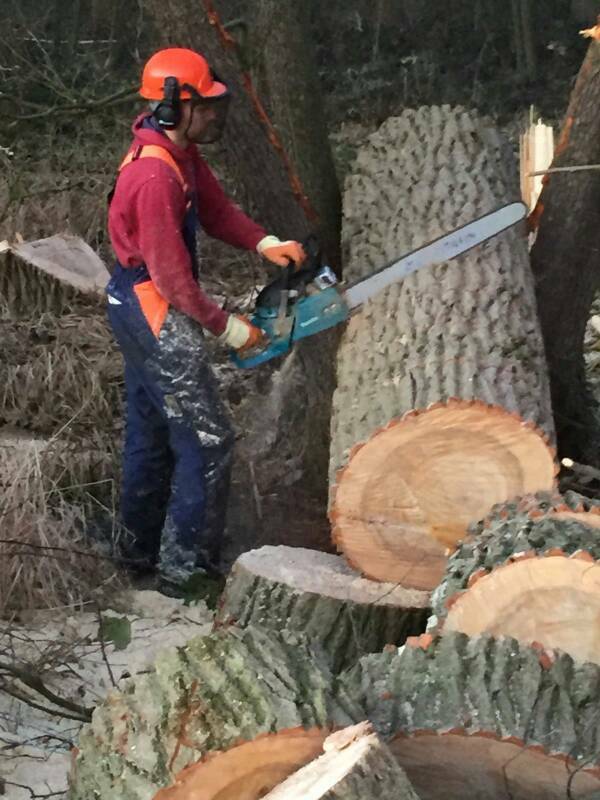 ~WBF, smokey7, Stihl working Hard and 12 others like this. smokey7, mdavlee, ajschainsaws and 2 others like this. If i didn't have major work tommorrow I'd be drinking more just really like the taste of just one once in a while. I did all this for a 65 yr old friend. No charge. Sorta a barter type of deal. He's good people if you know him right. I owed the man money. He declined payment asked about some firewood. Horse traded. Knotty green oak splits mean though when they get that size. White oak especially. And willow. Red is a dream compared. smokey7, Boozer, MustangMike and 6 others like this.